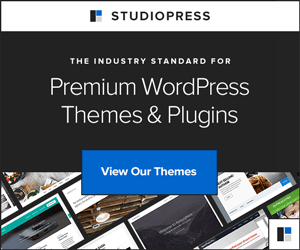 Hello everyone, this series is intended for everyone who doesn’t know how to use WordPress, like me! Today we will talk about Scheduling Posts. Scheduling posts is very easy and useful for many reasons, one of the most common is if you want to prepare a week, month or even year’s worth of articles on your site instead of having to write on it ever-so-often. Other common uses would be using scheduling to schedule a few articles before leaving for a few days, that way in case you don’t have any internet access , you still have content rolling out even if you’re gone. As I said, scheduling articles is very easy, all you need to do after writing the article is, instead of clicking on “Publish”, click on “Edit” next to “Publish Immediately”, which is on top of “Publish”. Then below that, there should be a new set of options that should appear, including the month, day, year, time, an “Ok” button and a “Cancel” button. 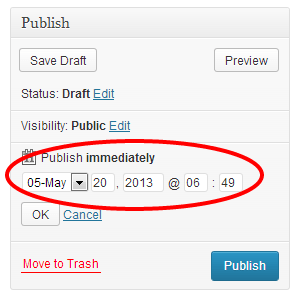 All you need to do is input the date and time you want the article to be posted, then hit Ok and the options disappear, but the “Publish” button would now become “Schedule”, simply click on that and your article would be scheduled. So what are the common types of articles to schedule instead of publish at the time of writing? Well, a few come to mind immediately, such as Q&A (question and answer), if you want your Q&A to be one article at a time, just write, schedule, write, schedule until you’re finished with all the questions. Another would be reviews or articles about new products, most of the time, new products would be under NDA (non-disclosure agreement), and if you disclose the product before the NDA is lifted, well the company that made the product might not be happy, and at the same time, you can’t just sit at you’re computer waiting for the NDA to lift, so just schedule it. One last example would be articles that you would usually publish on a certain day, but finish early, so instead of going through the trouble of opening it up later to publish it, just schedule it and save yourself the time. I hope this helped you with your own site, if not, then feel free to ask questions in the comments. Even if you understood it, ask questions, and I’ll try to answer them. And if you have any suggestions about future N00b’s guides, post them in the comments, and I’ll try to learn them, and do a guide.